Northern California is an oasis for outdoor activity and exploration. Whether you’re hoping to stay active during your getaway with us at Eden Vale Inn or simply want to find peace in the beauty of nature, your options will be plentiful. During a warm and sunny day, one local park we highly recommend is Folsom Lake State Recreation Area. This gorgeous waterside paradise is located at the base of the Sierra Foothills and offers a wide variety of things for you and your sweetheart to do. Read on to discover some of the most popular Folsom Lake activities, and don’t forget to request your FREE copy of our Placerville Vacation Guide to find even more local attractions to add to your itinerary. There are two pristine reservoirs in the recreation area known as Folsom and Natoma, both of which attract approximately two million visitors annually! During peak season (Memorial Day to Labor Day), visitors to the park are welcome to take a refreshing dip in the waters of Lake Natoma and Folsom. The lakes are also a great spot for boating, jet skiing, canoeing, windsurfing, and much more! Here is a quick look at some of the park’s swimming areas and beaches that are ideal for a full day of fun in the sun. Granite Bay: Located on the west side of Folsom Lake, Granite Bay is one of the most popular areas within the park. Visitors will enjoy a sandy beach, a snack bar, beach equipment rentals, and a boat ramp for lake access. Beal’s Point: Boasting an inviting beach and a boat launch, Beal’s Point provides a wide variety of activities for visitors on the west side of the lake. Sailboard lessons are also offered through the snack bar at this beach! Nimbus Flat: You’ll find this swimming beach at the south end of Lake Natoma. The area is known for the Sacramento State Aquatic Center, water training school, and a calendar full of special events. The waters of Folsom Lake are abundant with a vast array of trout, catfish, largemouth, smallmouth bass, and more. 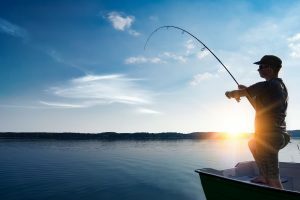 If winding down with your fishing rod and casting the line sounds like a great way to spend a relaxing afternoon, find a watercraft from one of the Folsom Lake boat rentals or visit the Lake Natoma fishing pier at Nimbus Flat. You’ll agree that it’s one of the best fishing experiences that our area has to offer! With over 95 miles of hiking and bicycle trails, you could spend days exploring all 19,500 acres of Folsom Lake Recreation Area. The extensive trail system includes the Pioneer Express Trail, which is part of the 50-mile Western States and Pioneer Express National Recreation Area Trail. This trek is ideal for a leisurely stroll and taking in all the stunning natural scenery of the lake and Northern California. For a mountain biking adventure that you’ll never forget, you definitely won’t want to skip the Darrington Trail, one of the most exalted bike trails in the region. The paved American River Bike Trail loops around the perimeter of Lake Natoma and is suited for visitors looking for a more laid-bike biking excursion. From towering blue oaks to spritely gray foxes, Folsom Lake is home to countless numbers of fascinating wildlife and plant life. 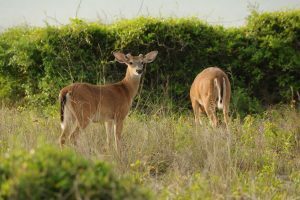 As you wander along the trails or sail across the waters of the lake, keep your eyes open for critters such as raccoons, black-tailed deer, wetland birds, or river otters. You’ll also want to bring your cameras so you can take beautiful photos of the blooming wildflower fields, open woodlands, and pine trees dotting the foothills. It’s a mecca of natural beauty that you’ll want to document and share with your friends and family. The Folsom Powerhouse was built in 1893 to harness the water power of the American River. Today, that same structure still stands and has earned a spot on the National Register of Historic Places and our list for the best Folsom Lake activities. Visitors are welcome to take guided tours of the historic site, explore the interpretive exhibits, and learn more about the Sacramento icon. A special getaway with your loved ones calls for a unique place to stay! You’re invited to lodge in our contemporary bed and breakfast and wedding venue, known as one of the “Top 10 Most Romantic Inns” in America! Graced with lush gardens and stylish accommodations, guests of our inn are spoiled with a one-of-a-kind vacation experience that you’ll want to indulge in again and again. After a full day of Folsom Lake activities, may we recommend coming back for a romantic evening of well-deserved relaxation in the Cottonwood room? This luxurious abode boasts rich southwest colors and a wide variety of homey features and amenities including a comfortable king-sized bed, a garden patio with tables and chairs, and a romantic gas fireplace. In the morning, you can look forward to a bountiful breakfast complete with freshly prepared and savory dishes. Check our availability today and book your favorite room with us! We look forward to welcoming you to Placerville soon.